Can you picture being in a camp cramped with thousands of migrants hoping for a new life after living through the worst hardship and mayhem in your own country? Bonegilla Migrant Camp near Albury, Australia was one such place which temporarily housed thousands of migrants from all walks of life from Europe and Britain. Each of these migrants came to Australia for a new start in life – for a better life. Put four sixteen-year-old girls together from different racial backgrounds and a life-long friendship develops. There is Elizabeta from Hungary, Vasiliki from Greece, Iliana from Italy and Frances, the Australian girl whose father is the Camp director. The reader is taken through an epic journey learning about each girl and their families through their eyes. While there are many characters, which could be overwhelming, it isn’t because the author gives us enough time with each one. The girls grapple with their own problems not just because they’re migrants, but because they’re women in a conservative 1950’s Australia. Purman shines a light on a society where teenage pregnancies and hidden love because of racial, class or religious differences aren’t tolerated and where indiscretions are kept secret because the consequences are too traumatic. The difficulties they face are many and in particular, the story of Elizabeta and her family is gut-wrenching. The exploration of mental health issues for migrants is explored in just enough detail for the reader to appreciate the generational impact. The racism of being a “New Australian” is very real, and this book provides an understanding of what being new to a country is like, serving as a reminder for tolerance and empathy for today’s new migrants. This was a big undertaking for the author as we’re taken into the sixties, seventies and eighties. The reunions with the girls as grown women with their own families provides a picture of what’s happened to them. The last part of the book skips years from 1994- 2018 and I yearned to know more. Does Frances finally get her happy ever after? We’re left to join the dots. But isn’t the job of the author to leave us with our imagination? Reaching the end, I was glad the story of each girl wasn’t wrapped up in a bow with a Hollywood ending because life really isn’t like that. This is an enjoyable and well-written historical novel with tragedy, love and friendship in a harsh landscape where the only option is hard work and survival. 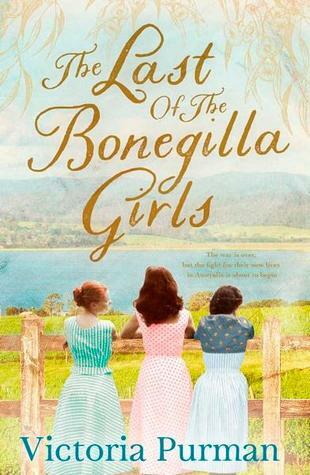 According to the author, “One in twenty Australians have links to Bonegilla”, so you too might have a connection. Who knows? This entry was posted in Book reviews and tagged australian authors, Book reviews, books, books by women, buy a book, historical fiction, migrants, Reading on September 21, 2018 by S.C. Karakaltsas.